Samsung has expanded the reach of its mobile devices by making phones that fit every imaginable niche. Motorola would love to be in the hands and pockets of just as many people as Samsung, but the Google-owned phone maker is taking a different route. Rather than make phones with huge screens, curved displays, and watches, Motorola is filling the voids with similar phones available at various price points. The latest addition to the Moto line is the Moto G. Now that there’s multiple Moto phones, how do you know which one is best for you? We take a look at the specs of the Moto X and Moto G to find out. There’s some very clear differences between these devices and they become increasingly evident as you look at the internal specs. The Moto X has the latest technology from Motorola, including its octa-core chipset designed to take stress off the processor and improve performance. The Moto G is equipped with an older model of the Qualcomm Snapdragon series of processors, runs with less RAM, has a smaller batter, less powerful cameras, and less storage space. The Moto G might seem totally outdated in the current mobile market, especially given the technologically superior Moto X is available with all its bells and whistles. But these phones aren’t necessarily going to be competing for your attention. 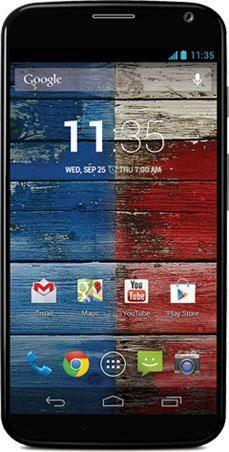 The Moto X is a flagship phone for Motorola that will appeal to most consumers in the United States. but the Moto G will spread the power of the smartphone and the Motorola brand well beyond the borders of North America. You will be able to buy it in the US, though. The Moto G also won’t be able to access Google Now when it’s in standby mode, and do some of the other special tricks that the Moto X can do with language and motion processing. As far as we know, there’s no Moto G Moto Maker either. If you want to lose your mind creating a custom phone, then you’ll want to get the X. If the ‘G’ in Moto G stands for anything, it’s ‘Global.’ With an extremely reasonable price tag of just $180 without a contract, the phone will be targeted to countries where smartphone ownership isn’t as common as America or the UK. In fact, it won’t launch in the U.S. until January, opting instead to make its first appearances in Brazil and parts of Europe. Like the Moto X, it’s customizable and features 19 options for colors on the casing. The Moto X carries a heftier price tag without a contact, but if you get it through a carrier you’ll look at a reasonable $100 investment in one of the most customizable phones around. In a way, these phones have the same goal for different markets: Make the price affordable and the product hard to resist. 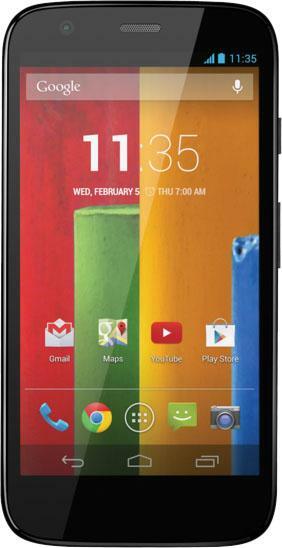 Despite its weaker specs, the Moto G hopes to make smartphones a viable option for new markets. You’ll have to wait awhile before the Moto G makes its way to the US, but you can get its higher powered brother and still feel like you’re getting plenty of bang for your buck.